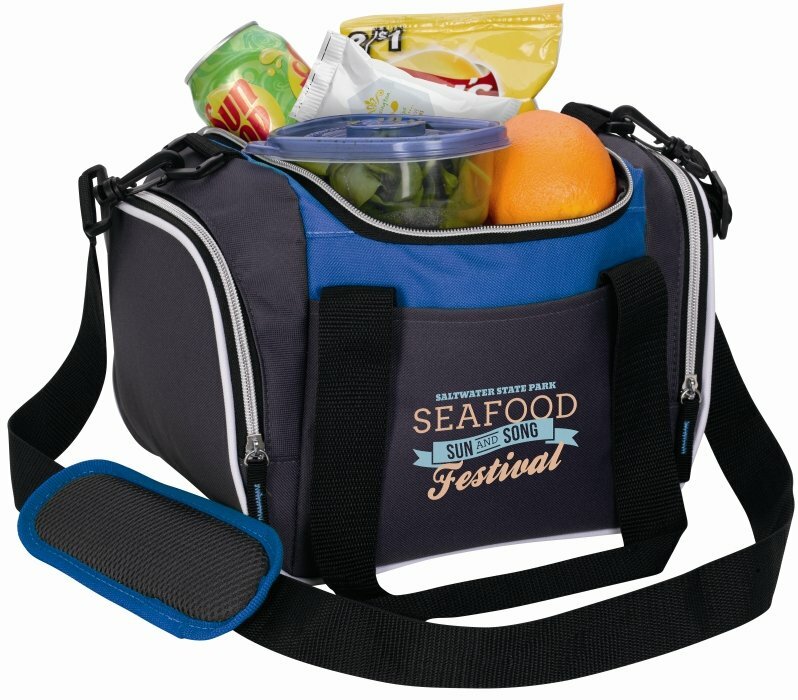 Get your logo on Koozie Duffel Lunch Coolers as promotional items. Apps are employee gifts, company events or promotional products. front slip pocket, shoulder strap with pad and carry handles. Overall size is 12 5/8 w x 7 1/2 h x 8 1/8 d. 4 Bag Colors. Frigid Ice Packs, add $.79 each min lots of 36 ice packs. Must order this cooler in lots of 10 units over the min. Delivery from date of order for this item 2-3 weeks. Price includes a one color imprint on front area 5 1/4" w x 3 1/2" h.
Maximum of two imprint colors for this lunch bag. Logos do require Illustrator ai, eps, pdf art file.